We visited this park on October 14, 2014, and stayed for 2 day(s). 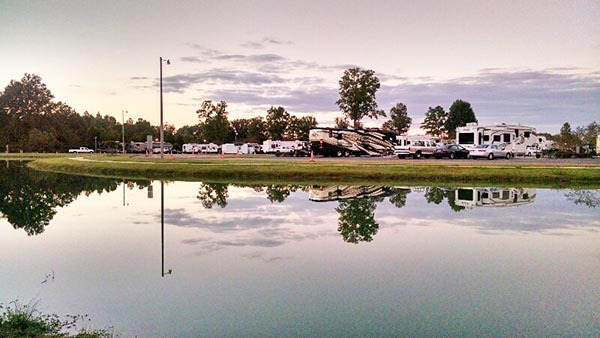 Capital City RV Park is located in the city, near busy roads, as you’d expect. We didn’t choose this spot for any rustic qualities, but because of its convenient location near the Interstate and grocery stores. We’ve learned that long distance travel is more enjoyable with short driving days and two-night stops, so this was a travel stop. 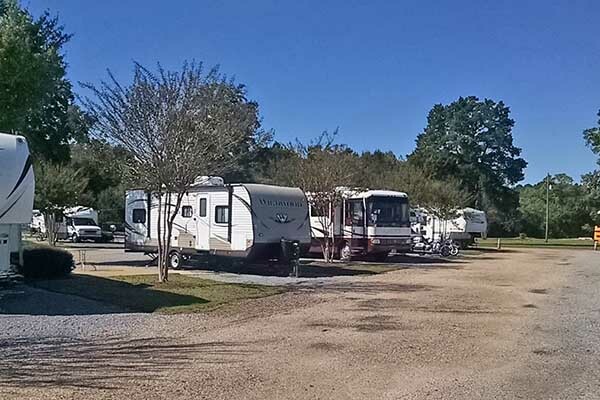 We were pleased to discover that this is a very nice park with spacious pull-thru sites and full hook-ups, including cable TV. It had all the amenities – laundry, bathhouse, clubhouse, a nice pond with a walking trail around it. Our Verizon MiFi and cell phones had excellent signal strength. We paid $27/night with our Good Sam discount. Update: December 12, 2017 – Link removed from this review because it no longer reaches their website and I’ve not been able to find a new website link via Google search. I’ve reached out to Capital City RV Park via Facebook to see if they’re still open and will update this review if they respond.